Insurance brokers serving Atlanta, Northeast Georgia, and Southeastern United States. The Norton Agency represents a carefully selected group of nationally known insurance companies. We work for our clients by providing the best and most comprehensive insurance options through this extensive network we have developed. As an independent insurance agency, our professional insurance agents have the flexibility to shop and compare a wide variety of insurance and financial products for you. The Norton Agency has served North Georgia since 1928. With all the challenges facing organizations and families today, no one has time to become an insurance expert. Instead, you need an insurance agency that will act as a trusted advisor and go above and beyond the mere delivery of an insurance policy. Our team of experts at Norton Agency Insurance will act as your risk manager and provide you with various services and solutions to meet your needs. 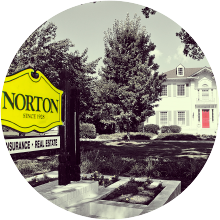 Norton Agency Insurance is built on the principles of providing quality insurance solutions to meet the needs of our clients and providing superior customer service. Our agency prides itself in providing each customer advice and counsel to acquire the best insurance coverage and value available. At the heart of our excellent customer care is our staff of licensed, experienced insurance professionals devoted to providing personal attention, prompt service and attention to detail.